Now in 1986 John Woo was looking to make a action flick and in collaboration with Tsui Hark who produced ,a story was set and it was more or less cast with Kung Fu legend Ti Lung playing Ho and Leslie Cheung playing Kit ,one more part had to be filled and John Woo wanted Chow Yun Fat to play Mark but Chow's track record was not good at this point as his previous films had done not so well and the producers and backers did not want him ,but John being John he insisted and the rest his history. 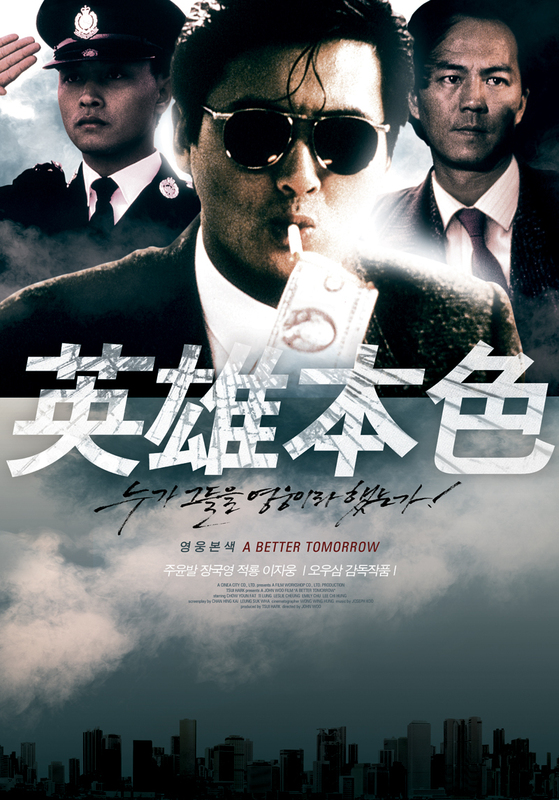 With the release of A Better Tomorrow in 1986 John Woo had created a new genre the Bloodshed movie and at the same time relaunched Ti Lungs career and sent Chow Yun Fat to super stardom in one hit which would see them work together for some time . 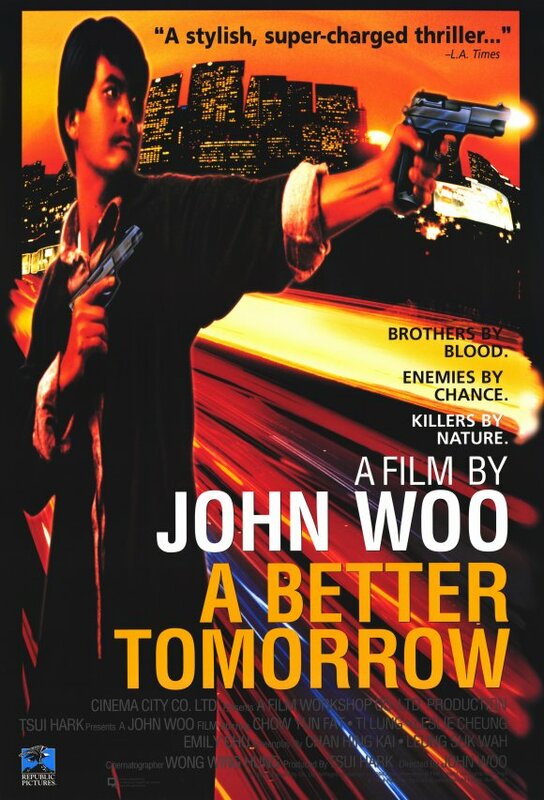 Now A Better Tomorrow is a story of crime ,friendship ,loyalty and betrayal .Ho and Mark work for a crime boss who seems quite pleasant in his portrayal any way they counterfeit money and launder it through various channels ,now on the other hand Ho has a brother Kit who is in the police force and hides the fact that he is a gangster even though the father knows about it . But when a transaction goes wrong in Thailand and Ho is captured by the police and imprisoned Mark sets out for revenge .Now upon this happening Ho's father is attacked in his home while being looked after by Kits girlfriend when Kit enters to stop the attack Old Father is killed in the commotion and Kit blames Ho for this ,as you would i suppose.Marks revenge plan does not go all to plan and he gets injured and ends up a cripple cleaning cars and picking up rubbish working for new boss Waise Lee ,hoping to get back his glory days when Ho gets out of prison . When Ho does get out he is being watched by a detective (John Woo)and upon his return to Hong Kong gets a job as a Taxi Driver and tries to make amends with his brother who shuns him and his long time friend Mark ,who's mad at him for not getting back into the game. But Mark is not the only one wanting Ho to return to crime as the new boss is out to use Ho for his means and torments Mark and threatens Kit to make him return.This all gets to much for him in the end and setting the record straight seems the only thing to do ,so in a plan to get even with Waise Lee and reconcile with his brother he devises a plan that should work. Now this is classic film making with an edge as the on screen presence of both Ti Lung and Chow Yun FAT shooting guns like there's a sale on and Ti Lung giving it large in the fight stakes along with John Woo's top direction which grabs you and does not let up till the end ,and on top of that a theme tune that will be in your mind for ages after.This is entertainment with a capitol E and then some .It's a fast paced ballistic at times both shocking and stunning charismatic film which even though sad at times is a joy to watch just because it's so exciting . 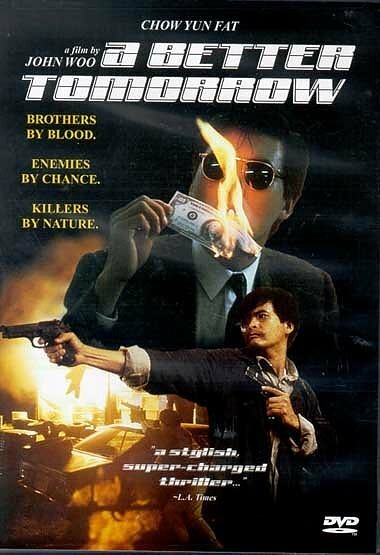 It's the reason we have gun films like we do, many scenes have been copied from this film in both Hong Kong and Western films and as well as giving us Chow Yun Fat it also gave us John Woo who till this day still make show stopping films ,but unfortunately not together at the moment. If you see just a Handful of Gunplay films in your lifetime ,make sure this is top of your list.